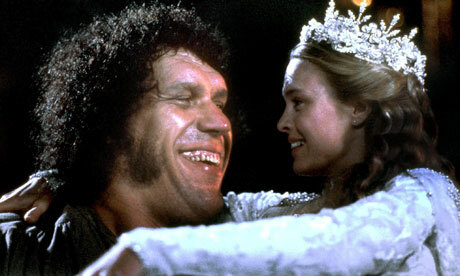 “The Princess Bride” Two Decades On. | The Cineaste's Lament. ← New Jennifer Lawrence “Hunger Games” Image Released. “The Princess Bride” Two Decades On. Unbelievably, Rob Reiner’s “The Princess Bride” is now old enough to have entertained at least three generations of filmgoers. Writing in The Guardian this morning, critic Jonathan Haynes explains why the cinematic adventure of Wesley, Princess Buttercup and the inimitable Inigo Montoya ranks as his favorite movie of all time. There are so many reasons to love this movie. Among them is its pure, fairy-tale heart which is underlined with a heaping portion of Borscht Belt kitsch. If you’re an aging Xer (as I am) and you saw this in the theaters at the time of its original 1987 release, I’ll bet you dimes to donuts that there are whole sections of this movie that you can recite from memory. Ask anyone, and I’ll defy you to find someone who doesn’t think the scene in Miracle Max’s cottage isn’t one of Billy Crystal’s and Carol Kane’s finest moments on film. And it’s still a great date movie — I don’t care how old you are. There’s just something about watching this movie with your best girl or a girl you’re hoping to impress. And that is equally true if you’re 41, with a kid and a mortgage or a dewy-eyed high- schooler on the cusp of your first love. This entry was posted in Books On Film, comedy, Film News and tagged Andre the Giant, Billy Crystal, Carol Kane, Cary Elwes, Chris Sarandon, Christopher Guest, Date Movies, Favorite Movies, Inigo Montoya, Mandy Patinkin, Miracle Max, Robin Wright, The Princess Bride, Wallace Shawn. Bookmark the permalink.